Hello! 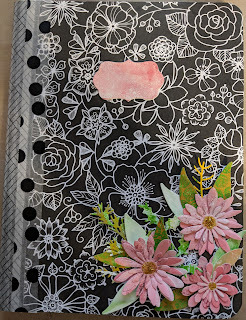 Today I am showing a composition book that I have covered in papers with pockets and die cut flowers. 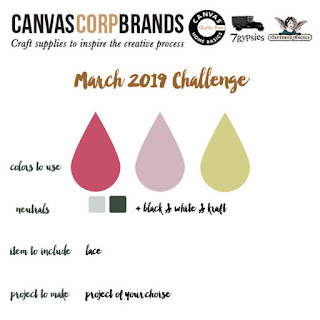 This is the for the March Canvas Corp Brands Challenge #ccbchallenge, looking forward to playing, it is my first challenge with them! It was also added to the Bleeding Art Challenge for March, my first time there also! I also added this to the Bleeding Art Challenge of Anything Goes! 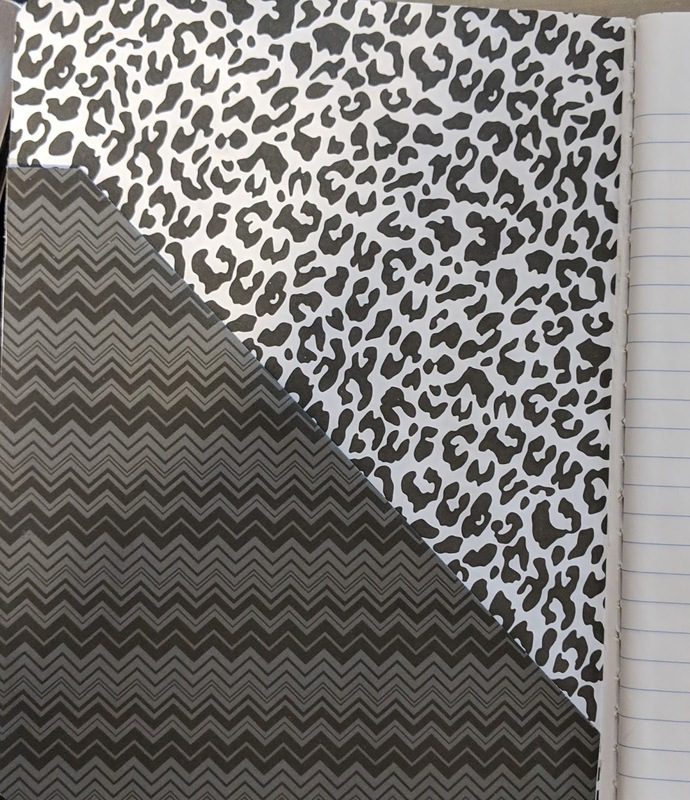 I started out with a blank composition book and decided I wasn't sure what I wanted to do and played it safe with black and white papers, so I chose 5 different patterns in black and white to cover the covers of the book. I then created a pocket on the inside front cover to tuck in tags and other ephemera for the recipient. Cutting several flowers and green pieces from gelli printed papers I have painted earlier, I started to layer them and attach them to the cover. 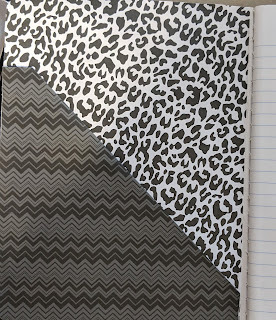 I then added washi tape down the front of the cover and along the spine for more interest. I then decided because it was a journal it needed a bookplate on the front so I cut the plate with a die cut from the painted gelli papers also. 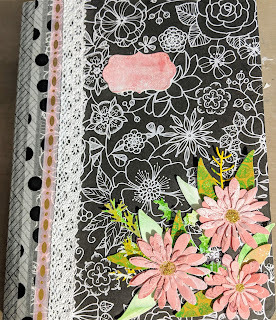 Then added lace and more washi tape. 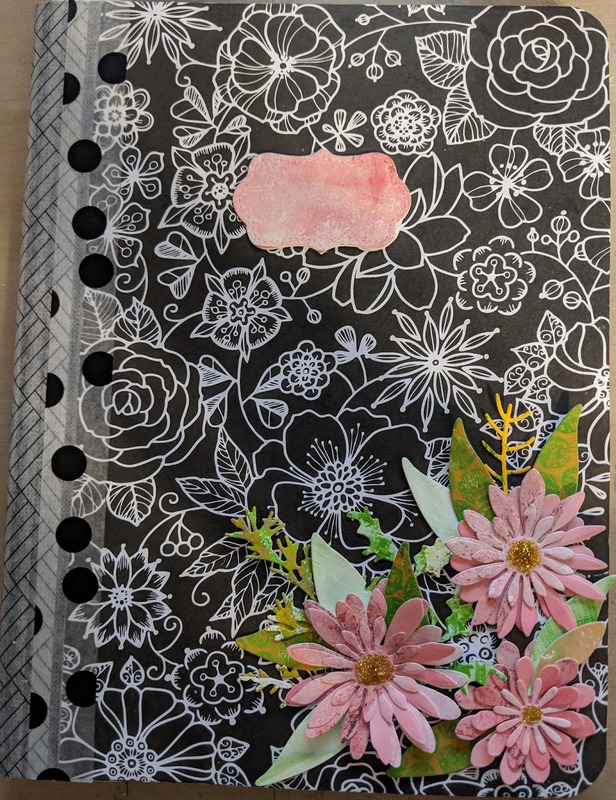 Here is the finished composition book journal! This is fabulous, thank you for joining us over at Bleeding Art for our challenge and hope to see you next time. Very cool - love that black and white! Thanks for joining us at Bleeding Art! Hello! 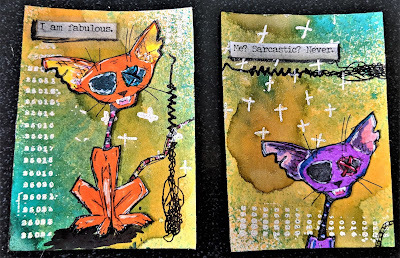 Thought I would drop in and show some ATCs I created with scraps and recycled cardboard left over from other projects. These are fun to do and you can use anything when creating them. I really like using the Tim Holtz paper dolls, they are so convenient to use and I don't have to mess with making copies and cutting out the people from the old pictures I have collected! 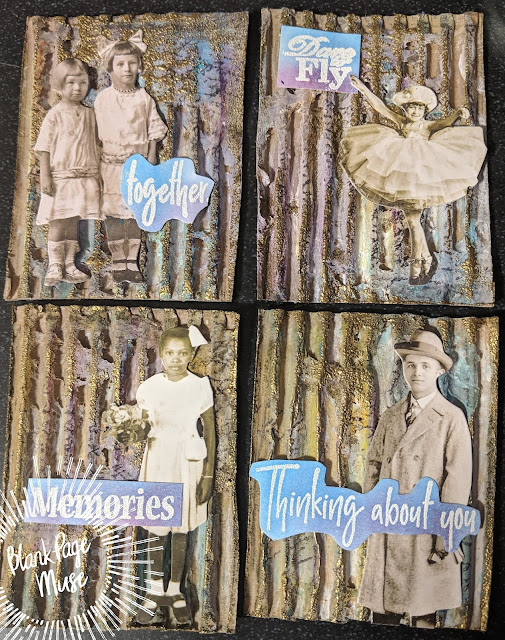 I created these ATCs using cardboard scraps, Tim Holtz paper dolls, Ranger embossing powders, and Blank Page Muse Stamps. I cut the cardboard into ATC sized pieces then used acrylic paint to brush over the cardboard to give it some color. I then used a glue stick randomly over the raised edges and then dumped embossing powder on the cards. 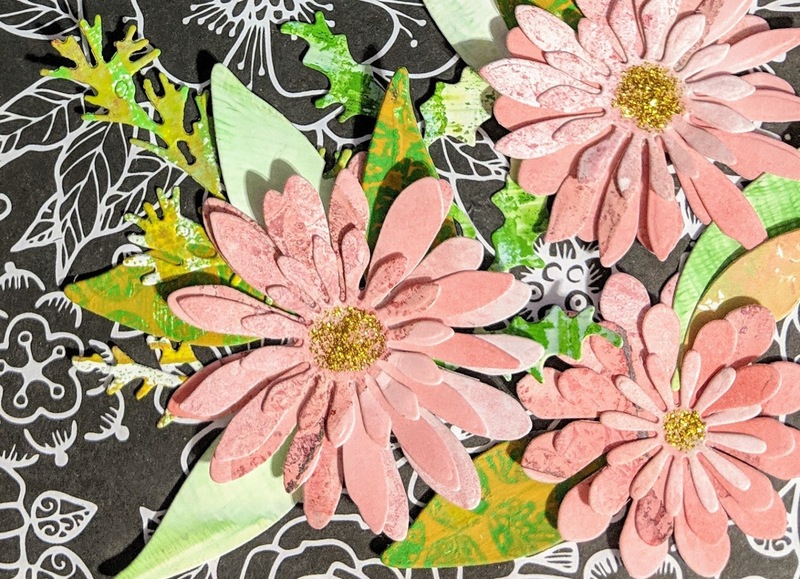 This created a grungy mix of colors across the card. I then glued down the paper dolls and used the words from Blank Page Muse Stamps there was left over from other projects. Quick and easy ATCs ready for trade! 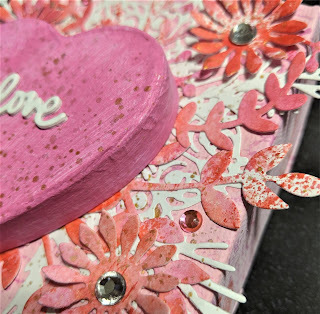 I am not a hearts and pink kinda gal but when there was a suggestion of doing a Valentine's blog hop, this idea jumped in my head and I couldn't get it out until I started working on it. It is made to hang on the wall and it could be left up year around! I had to do some shopping, of course, my favorite thing, shopping for art supplies to create projects and there was a buzz in several of my FB groups about a great sale at a local store. So I decided to go and made a great haul on lots of items, although I have to say I was just looking for a paper mache heart and some $60 later...just don't tell my hubby! There is also a product giveaway of approximately $25. Leave a comment and you will be in the drawing. Hello! Just thought I would add some pictures of the ATCs I just finished. They are bright and colorful and I love all of the texture. I started out with ATC sized white cardstock and using white embossing stamped with small crosses and numbers, then sprayed with Dylusions sprays in 3 colors. The cat and rabbit were stamped on the ATC and once more onto white cardstock, colored with Tombow markers and fussy cut. They were then glued over the stamped image and I added the stitched lines with archival ink. Next, the sticker words are from the snarky series and I used my Stabilo pencil to darken them up. I love using all of the different mediums and creating all of the textures! 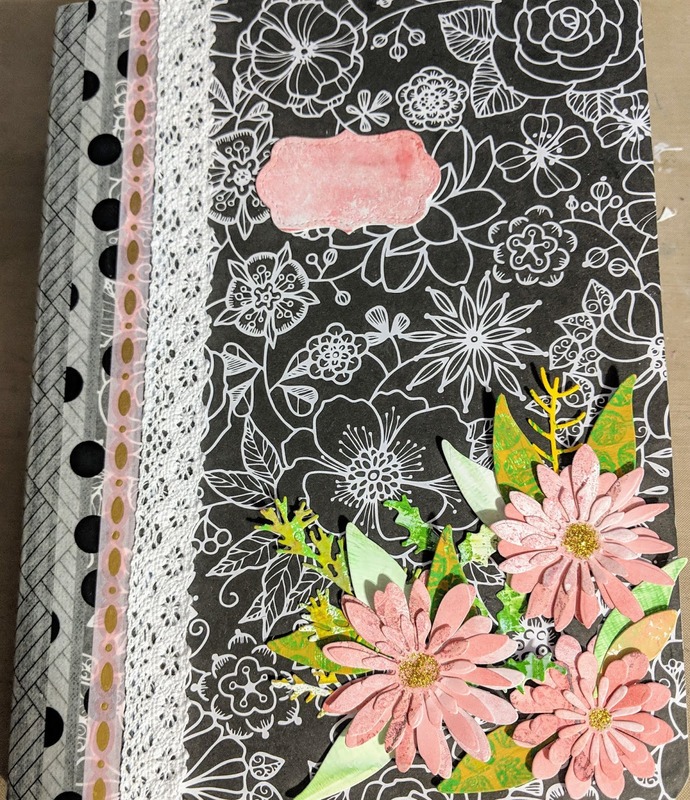 Supplies used were from Viva Las Vegas Stamps, Tim Holtz snarky words and stitched lines stamps, Ranger Archival ink and embossing powder, and Dylusions Sprays.